Conveniently located between the port of Wilmington and I-95, the 160-acre industrial park makes an appealing backdrop for globally-minded manufacturing, logistics and distribution operations. It holds the rare distinction of being “triple certified” as a destination for consumer foods and beverage processors. 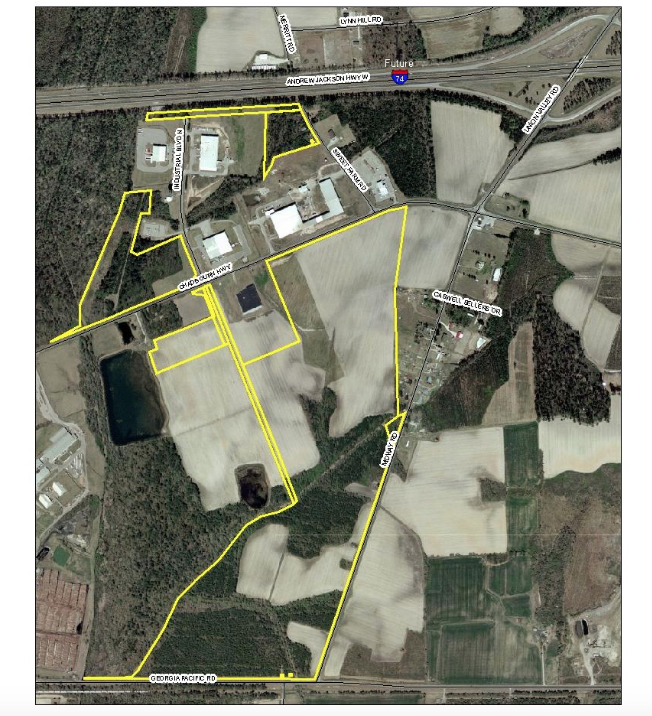 The park has also met the North Carolina Department of Commerce’s thorough checklist as a certified industrial site. A Duke Energy substation located in Southeast Regional Park provides reliable flows of quality three phase power. The park distribution grid consists of a 23 kV Feeder fed directly from the 115 kV substation located within the park. High volume users may be served directly from the substation through underground feed conduits. A 500,000-gallon elevated water tank and 12-inch water and sewer lines can meet the needs of modern industry. Abundant natural gas is available via Piedmont Natural Gas Company’s 6-inch pipeline to the park. CenturyLink high-speed fiber-optics connect the park tenants to today’s digital economy. Larger international airports in Raleigh, N.C. (RDU) and Charlotte, N.C. (CLT) are less than 3 hours away. 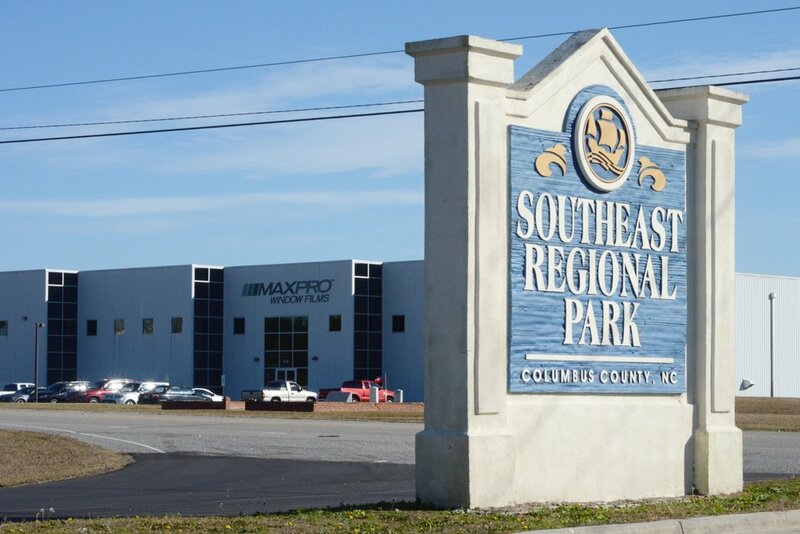 Rail service is available at the park, with the RJ Corman Railroad able to link companies to a CSX mainline in Mullins, S.C., just 45 minutes away. R&L Carriers - Lumberton, N.C.
UPS Freight Service - Fayetteville, N.C.
Southeast Freight - Wilmington, N.C.
Old Dominion Freight Company - Wilmington, N.C.
C.R. England - Tar Heel, N.C.
Southeast Regional Park sits amid fertile soils and a vibrant and diverse agribusiness region. From blueberries to soybeans, Columbus County fields can supply food and beverage industries operating at the national and international levels. Businesses here enjoy access to diligent, well-trained workers. North Carolina has the nation’s second-lowest unionization rate. And with the campus of Southeastern Community College next door to the park, arriving and expanding industries have convenient access to free workforce training customized around their unique needs.